Cocoa beans are basically the fermented seeds of cocoa tree. It is a native to the region of Amazon and ancient times cocoa was a very important crop in the Central and South America. In fact, the beans were so valued that the native tribes used them as some form of currency. The tree stands for about 12 to 25 feet tall and also grows naturally in the tropical climates. The cocoa tree fruit is a pod that is full of sweet pulp by enfolding the cluster of about 20 to 40 cocoa seeds. Now-a-days, it is being produced all around the world, with almost about forty percent of all the harvesting done in the Cote d’Ivoire, along with Ghana, Indonesia, Nigeria, Brazil as well as Cameroon by contributing to the overall production. The health benefits from the cocoa include the relief from high blood pressure, obesity, cholesterol, constipation, bronchial asthma, diabetes, cancer, chronic fatigue syndrome as well as various neurodegenerative diseases. It is also beneficial for quick wound healing, skin care, and it can also help to improve the cardiovascular health and brain health. It can also help to treat copper deficiency. It can posses many mood-enhancing properties and also exerts the protective effects against all the neurotoxicity. 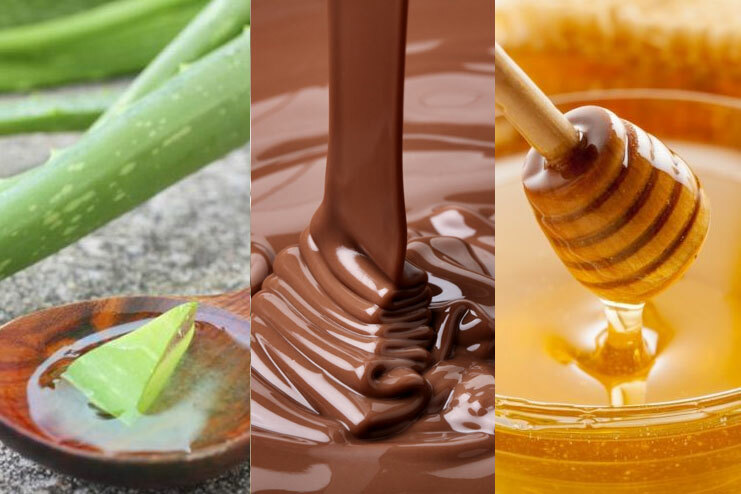 So here, are some cocoa for skin care and health benefits that you must know about. a. Blood pressure: The flavonoid-rich cocoa can aid in the lowering of blood pressure and also help to improve the elasticity of the blood vessels. These types of favorable changes are mostly attributed in the presence of the antioxidants in cocoa that can stimulate the production of the nitric oxide, which can help to keep the blood vessels relaxed. Furthermore, this also help to maintain a healthy circulatory system. b. Antioxidant Capacity: Some research studies has made it quite evident that the cocoa can exhibit a higher level of antioxidant activity than the black tea, green tea or even red wine. Antioxidants can help to neutralize oxygen-based free radicals which are present in your body. In addition to it, it is also abundant in phenolic phytochemicals and possesses a very high amount of flavonoids as well. c. Blood Cholesterol: Another research study have shown that the cocoa has the hypoglycemic and hypocholesterolemic effects on the glucose as well as cholesterol levels. A diet that includes cocoa, has shown the reduction in LDL cholesterol, triglycerides as well as glucose level. d. Copper Deficiency: Cocoa also have extended benefits on treating the copper deficiency in the patients on the long-term enteral nutrition. Some studies have also revealed that cocoa is valuable in the copper substitution therapy, and also have resulted in the significant improvement in the hemoglobin level, leucocyte count, and copper content in the patients. Cocoa is also considered more valuable as a copper-rich component that must be included in your diet to maintain a normal level of copper as well as its remedy to treat copper deficiency. It also help in preventing as well as treating some diseases that is caused because of the copper deficiency in your body such as neutropenia, anemia and leukopenia. e. Chronic Fatigue Syndrome: Cocoa has also been shown as that can help to exert the calming effects on the people who are suffering from the chronic fatigue syndrome. The effects of cocoa is also attributed to its release of neurotransmitters like the anandamide, serotonin and phenylethylamine in your brain, which can also exert a protective effect from the oxidative stress on your neuronal cells and help in combating the chronic fatigue syndrome. f. Skin Care: Cocoa has been found beneficial in maintaining good skin health. By the consumption of flavonol-rich cocoa, it can help to decrease the effect of UV- induced erythema as well as reduce the skin roughness and scaling. It also aids in enhancing the skin elasticity, hydration, and density. Epicatechin that is present in the cocoa aid in elevating the oxygen saturation of the hemoglobin, by stimulating proper blood flow in the dermal tissues, as well as contributing in the endogenous photo-protection. It is also used in the preparation of the various skin care products. g. Magnesium Deficiency: Cocoa products can help in preventing the ill effects of magnesium deficiency in your body. A research study has said that the regular consumption of cocoa products can prove beneficial in preventing adverse effects that is caused due to the diet which is lacking because of magnesium for an extended period of time. 1. Cocoa can help to increase the blood circulation in the scalp, ultimately increasing the growth of healthy as well as lustrous locks. It can also act as a circulation booster, and help to reduce hair loss. 2. Cocoa helps to improve the overall health of the hair. It can help to get that voluminous and super glossy hair! 3. Cocoa have many anti inflammatory properties, which can help to minimize all the odds of getting the scalp infections. a. First take a bowl and in it add chocolate and fuller earth in equal quantity. In it add two tablespoon of orange juice, then blend them properly. b. Now wipe your face with a cotton, that is dipped in rose water. c. After that apply the mix all over the face. d. Then let the mixture dry for about 20 minutes before washing it off with cold water. This pack can help to add glow to your skin as well as refine the texture. It can help to lighten the complexion. a. Frist take a bowl, to it add one tablespoon of aloe vera gel, one tablespoon of chocolate powder as well as two tablespoon of honey. b. Mix the ingredients properly, and apply it on the face and massage them slowly. c. Let the mixture dry for about 15 minutes. Wash it off with some lukewarm water. This pack can be used to remove dark spots, pimples, sun spots or even acne scars. It can help to promote the blood circulation, which can make the skin look more smooth as well as flawless. a. Take an egg separate the yolk and place it another bowl. b. In the egg white, add two tablespoons of chocolate powder and beat them well. c. Try to steam your face so that the pores open properly. d. Apply this mask and let it sit for about 20 minutes. Then rinse with some warm water. Do not forget to apply a cream or moisturizer after that. This treatment can help to tone as well as tighten the skin. It shrinks the size of the pore and reduce the signs of aging. a. First of all mix the ingredients into a bowl to make a paste. b. Then slowly even them out on the skin. Try to keep it on for about 20 minutes. c. Wash the paste off with some warm water and later follow with a cold water rinse. d. For more better result use this mask twice in a month. a. Mix up all the ingredients until the batter becomes thick as well as brown. b. Then apply the mixture on the face and leave them on for about 20 minutes. c. Later rinse the mixture off with some lukewarm water. You can see your skin more firm as well as smooth. a. Mix all the above ingredients until they transforms in a thick, brown batter. b. Then spread the face mask evenly on the face and leave it on to dry for about 20 minutes. Besan is an amazing cleaning agent for the oily skin and curd aid in controlling the oil secretion.